Self-hosted Mail servers can help in cost-cutting and increase the security. Almost all email servers feature two agents- Mail delivery agent (MDA) and Mail Transfer Agents (MTA) to deliver your emails from one point to another. Mail delivery agent (MDA) is used to route the e-mails from to its destination while the Mail Transfer Agents (MTA) transfers e-mail between servers or computers using a client-server application architecture. Examples of Mail delivery agent (MDA) are Dovecot, Qpopper, Courier, and Cyrus IMAP/POP3 servers and for Mail Transfer Agents (MTA) are Exim, Qmail, Sendmail, OpenSMTPD, Postfix, and others. 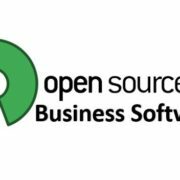 If you want an opensource and free Mail server software to create a mail server for an enterprise or SMB then you are at right place. We have gathered some best known free Mail server and some of them open source too. Kolab is a free and open source groupware suite. Kolab is one of the best free and opensource mail server that provides enterprises class functionalities. It provides mail server called Kolab server and support varieties of clients such as KDE PIM-Suite Kontact, Roundcube web frontend, Mozilla Thunderbird and Mozilla Lightning. For Mozilla clients, it uses the SyncKilab extension and to support the Microsoft Outlook it uses proprietary Kolab-Connector PlugIns. Zimbra is the most popular opensource mail server and used millions of people. Zimbra is an enterprise suitable email server and client solution. This is mail solution is cloud ready for both public and private. 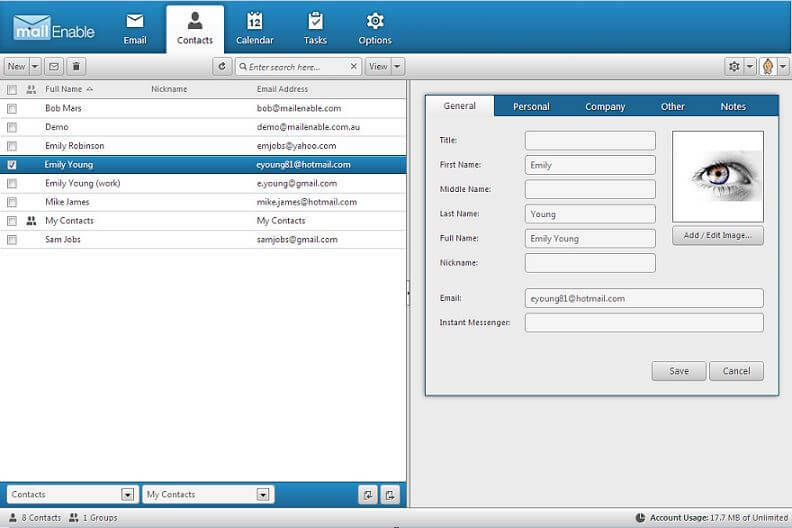 The intuitive mailbox integrates address book, email, tasks, calendar files and enterprise applications. Zimbra can be deployed as a virtual appliance on private or public cloud and provides Mobile Web Client app too. It supports IMAP/POP, CalDAV, and CarDAV protocols. 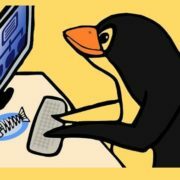 Want to convert your Linux based server into the powerful open source Mail server then set up iRedMail. It is most trusted and popular mail server for all machines running in Red Hat Enterprise Linux, CentOS, Debian, Ubuntu, FreeBSD, and OpenBSD. Database support OpenLDAP, MySQL, MariaDB, PostgreSQL. Secure connections (POP3/IMAP/SMTP over TLS, webmail with HTTPS). 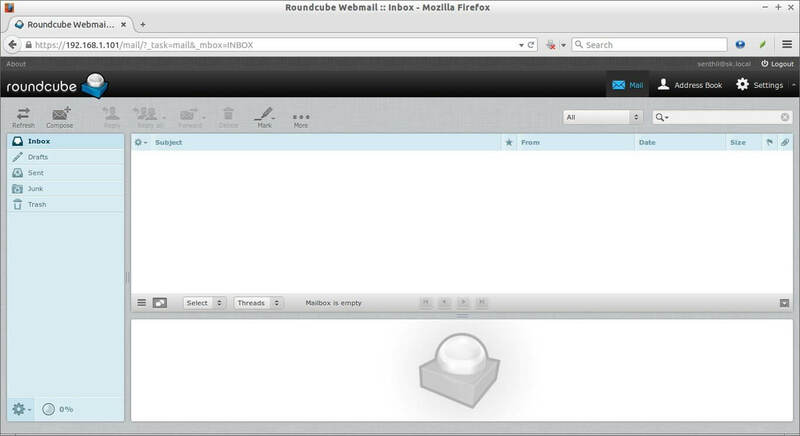 Modoboa is another Linux based opensource mail hosting and management platform with easy to use web user interface. The Modoboa provides support to all SQL based databases (MySQL, PostgreSQL or SQLite) and integrates well-known software such as Postfix or Dovecot. Other useful components of this mail server are administration panel, a frontend for Amavis or a webmail. It is written in Python and uses the Django, jQuery and Bootstrap frameworks. Know more about the Modoboa installation and how its web interface looks like. Java Apache Mail Enterprise Server also is known as Apache James. It is an Opensource SMTP and POP3 mail transfer agent and NNTP based enterprise Mail server. It is entirely written in Java. The Courier mail transfer agent (MTA) opensource mail server is an integrated mail/groupware server. It based on protocols such as ESMTP, IMAP, POP3, LDAP, SSL, and HTTP. 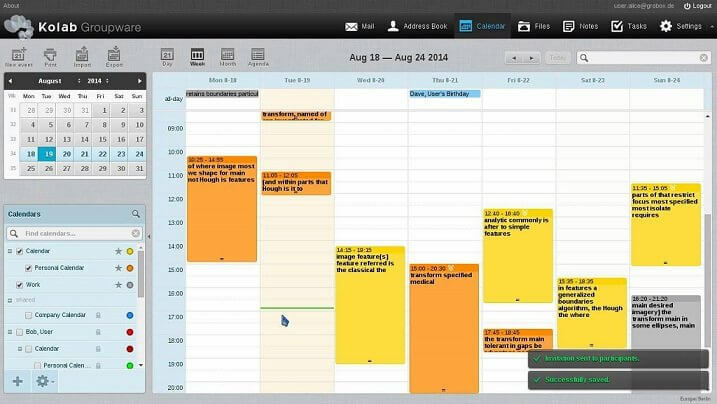 The basic web-based calendaring and scheduling services integrated into its webmail module. This free Mail server is also meant for POSIX-based operating systems based on Linux, and BSD-derived kernels. It can provide mail services for regular operating system accounts. The Courier mail server can also provide mail services for virtual mail accounts, managed by an LDAP, MySQL, or PostgreSQL-based authentication database. The mail filtering engine, the webmail server, and the IMAP server also available. Dwarf Mail Server is another Java-based platform Mail server featured SMTP, POP3 and IMAP4rev1 protocols. It can handle virtual domains for the SMTP/POP3/IMAP4 protocols and also provide rich app application message processing via pluggable Mail filters and agents. ESMTP, POP3 and IMAP4rev1 implementation. Application logic layer provided by Mail filters and agents. Virtual mail hosts in SMTP/POP3/IMAP4 server. SSL/TLS communication, host-based filtering etc. 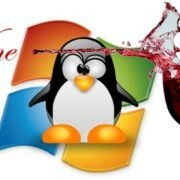 MS Windows, UNIX/Linux/BSD, MacOS X and others servers support. 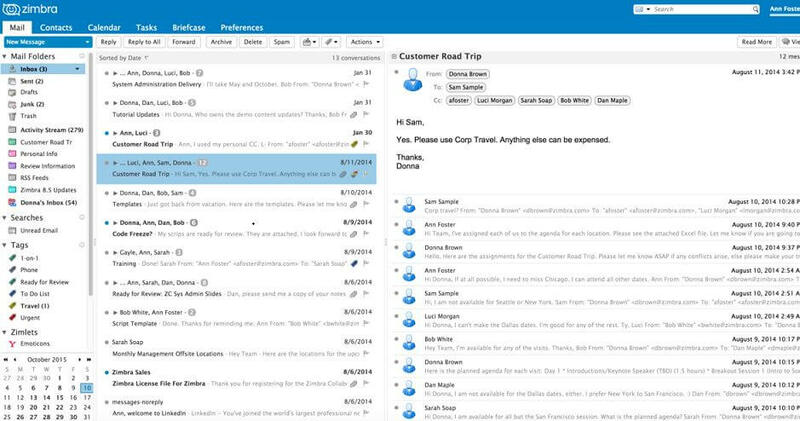 MailEnable comes in two editions premium and Standard Editions. The standard one is free to use the mail server. It provides robust SMTP, IMAP, POP3 and Webmail services for Microsoft Windows servers. The installation of this server doesn’t require any command and very simple to install. 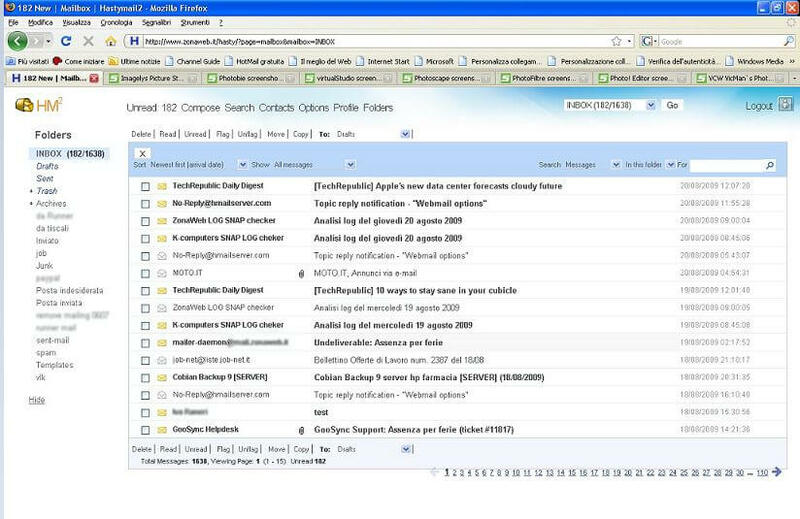 MailEnable is an AJAX-based webmail client. It features including personal calendaring, contacts, tasks, folders, auto signature, multilingual capabilities and much more. POP and SMTP mail services supporting unlimited users and domains. SMTP Authentication, Integrated Windows Authentication, Relay control. Anti-Spam- PTR record checking, DNS blacklisting, auto-banning of IP addresses and more. Axigen is another enterprise class mail server for small and medium business. 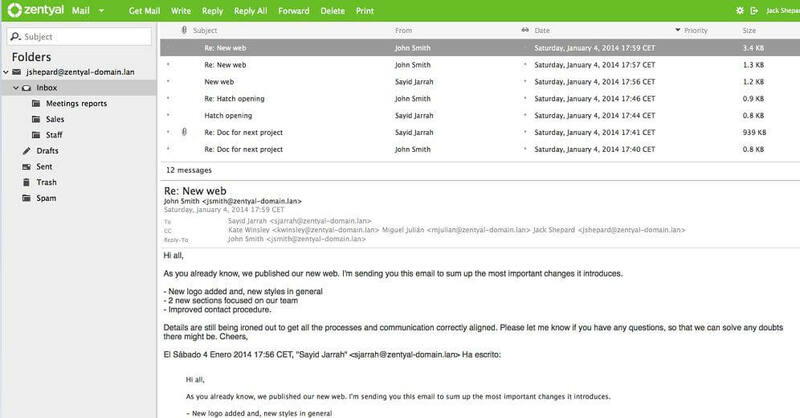 It is a good alternative to Opensource mail servers but the free version is limited to 5 domains, 5 users, and 5 groups. Address Book, fast, index-based search, contacts import/export, out-of-office messages, rules and filters, and many others. Access your messages, contacts, and calendars directly from tablet or smartphone, via our built-in CalDAV & CardDAV. Zentyal Server is not only a mail server but more than that, it a full package of network management. It comes in two version commercial and community (also called development version). 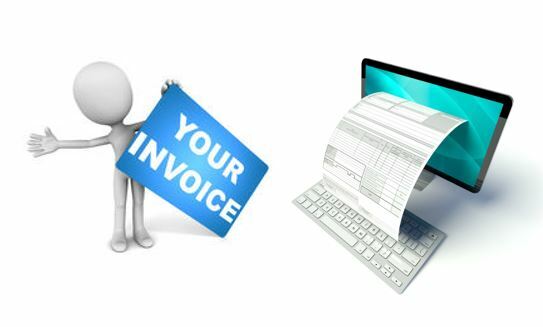 It is designed to meet the needs of small and medium businesses. Zentyal Server integrated Directory & Domain Server with native compatibility with Microsoft Active Directory, Mail Server with ActiveSync and webmail, Gateway with firewall and proxy, Infrastructure Server with DNS/DHCP server, Certification Authority and Virtual Private Networks. Citadel is another 100% Open source AJAX powered Groupware Platform. 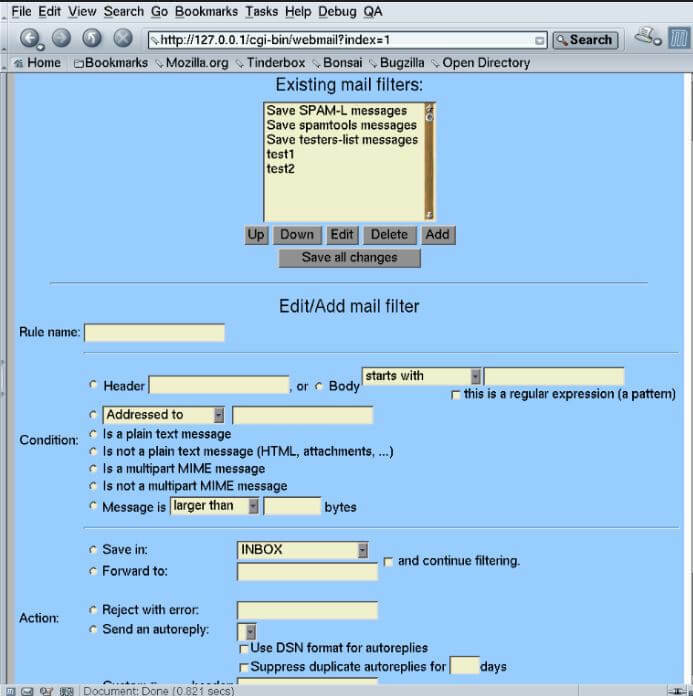 It provides “Web 2.0” interface along SMTP, IMAP, POP3 and GroupDAV access to its content. It is written in C and provides its own implementations of these server protocols: IMAP, POP3, SMTP, ManageSieve, XMPP, Citadel. Integrated server-side mail sorting and filtering. 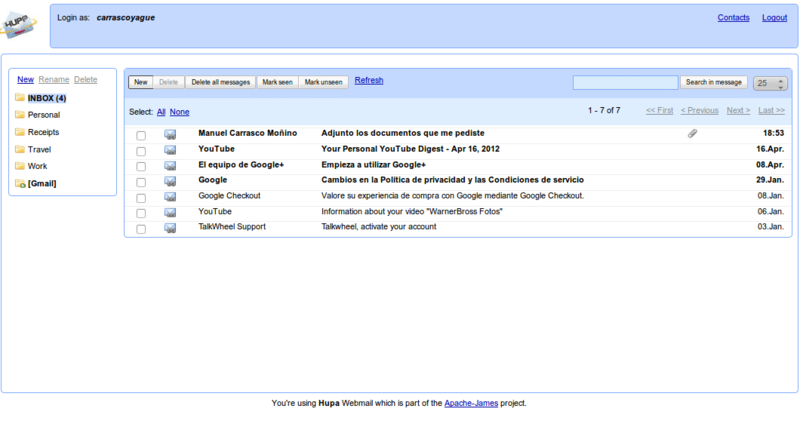 hMailServer is a free, open source, e-mail server. It is developed for Microsoft Windows servers and popular free Mail server that provide. It can work with any kind of webmail client systems those supports IMAP and SMTP. The most common used webmail systems used with the hMailServer are RoundCube and SquirrelMail which is offered by most of the Hosting providers such as GoDaddy. The Installation of hMailserver is easy and it is GUI based rather than configuring the text files of a server. It provides web-based frontend and supports all common email protocols- IMAP, SMTP, and POP3. Kolab is definitely not a free program. Zimbra offers both paid and open source collaborative solutions. Please check on their website for more information. I tried half of the list there, but truly the best one is mailcow! Thanks for this article – very helpful. After reading I decided to try Kolab, having already tried Zimbra. I wasn’t able to install Kolab on the current Ubuntu 18.04 even after trying for 4 hours, I gave up. Looks like it doesn’t support Ubuntu 18.04 even if it has been released for 8 months. All I wanted was to see the tools available and the features Kolab has to offer. So when you click on the website to see the feature it takes you to the entreprise website which doesn’t help in mistaken it for a paid software. Anyway, Not a great experience with Kolab. 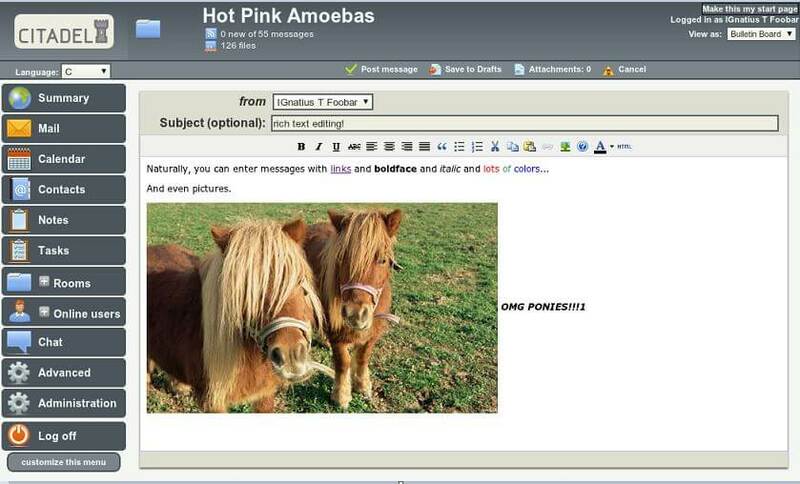 I will stick with Zimbra.